First, you will need to download Git and Python. Please note that you need to download the appropriate 32 bit or 64 bit installer. In my case, having a Windows Server 2016 x64 instance, I downloaded Git x64 bit and Python 2.7 x64. After downloading, you need to install Git. You can click next trough the options and leave the default options ticked. 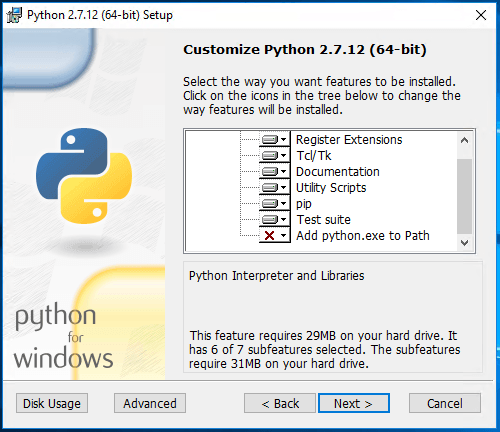 On the python installer, you will need to enable Add python.exe to Path option, then click Next > and finish the install. 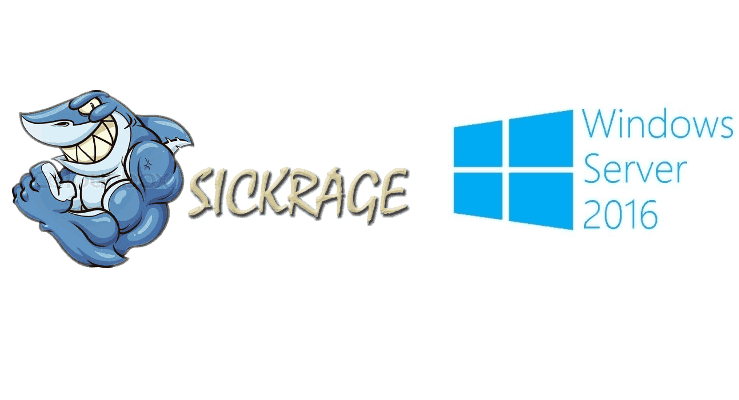 With the prerequisites installed, we can proceed to install SickRage on Windows server. This command will clone the latest version of SickRage from GitHub on the SickRage folder on your C: drive. 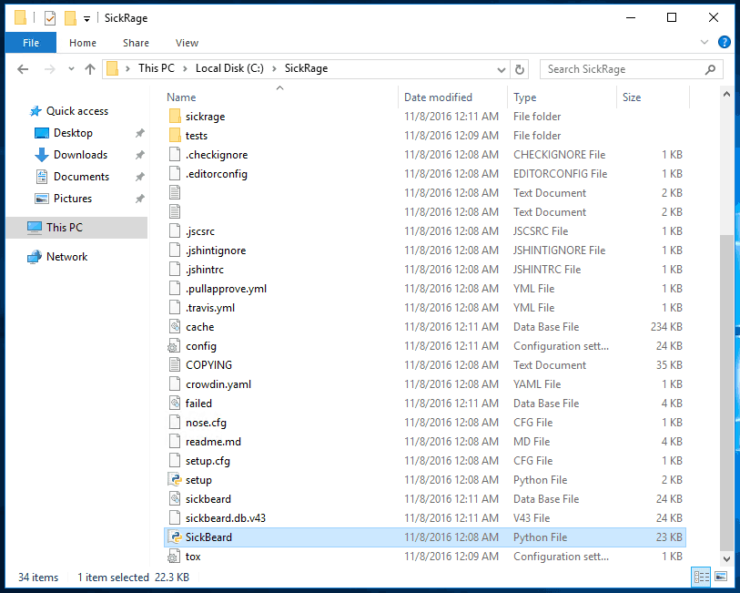 We then navigate to the folder created by SickRage (c:\SickRage) and we double click on SickBeard.py and in a few seconds the browser should open on localhost:8081/home/ which is the SickRage homepage. After unzipping the archive, copy nssm.exe (from \nssm-2.24\win64) to C:\Windows\System32 folder. Check if the service has been installed successfully by rebooting your machine. After the reboot, SickRage should be accessible on localhost:8081 without the need to start the service manually. SickRage installed successfully. What to do after that? There you have it! 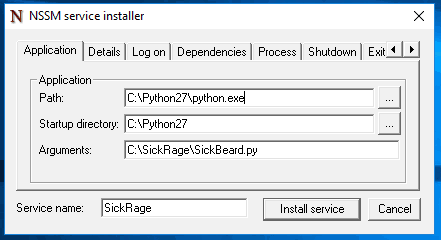 Now, you can start configuring SickRage. Compare SickRage vs SickBeard, Sonarr and CouchPotato if you want to choose the best movie downloading software for your needs. 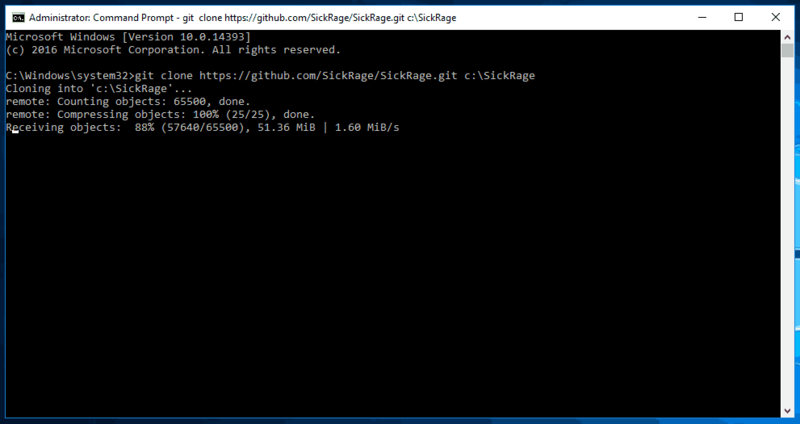 You can also install SickRage on Ubuntu with AtoMiC ToolKit, in case you need to do it on this OS instead. 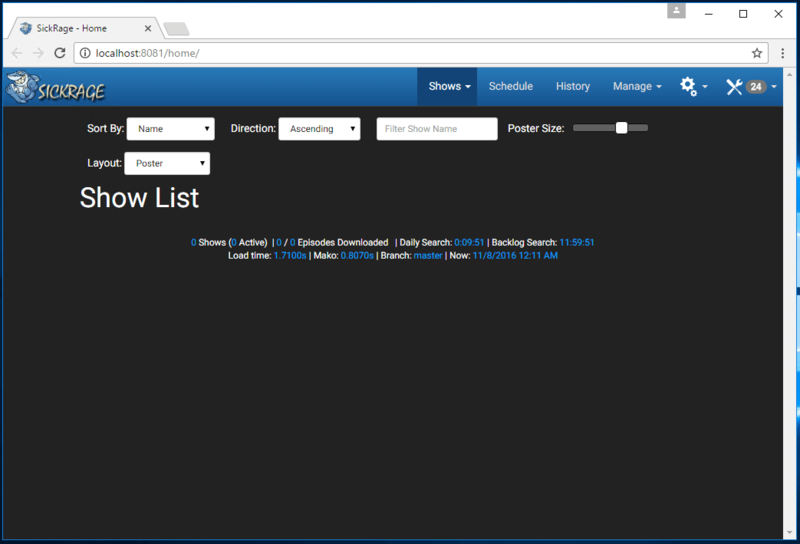 Add features to your home server with our tutorials!